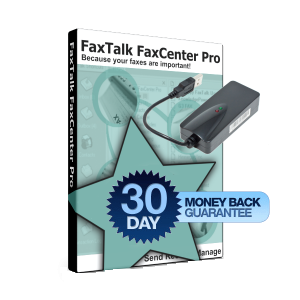 This voice/fax modem is perfect for the small office/home based business. Its miniature design also makes it ideal for travel usage. 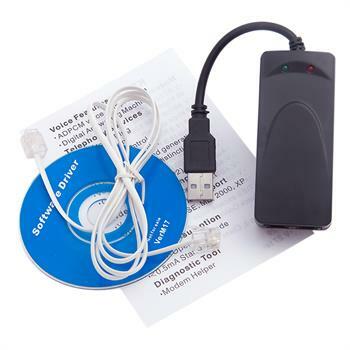 The modem’s power is provided by the computer’s USB port, eliminating the need for a power adapter when traveling, and reducing power adapter clutter in the home or office. 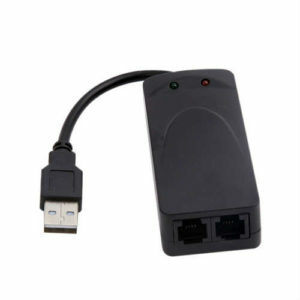 Unlike other plug in USB fax modems, this fax modem includes two RJ-11 telephone jacks. 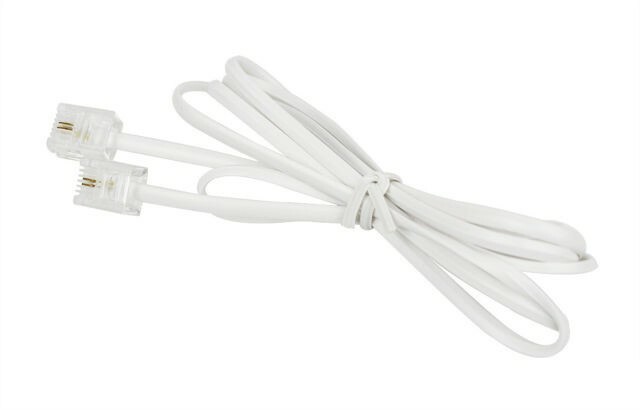 One jack connects to your voice/fax analog telephone line and the other can be used to attach any standard corded or cordless telephone extension for incoming and outgoing voice calls. This fax modem is a single line USB external hardware analog Voice/Fax/Data modem, based on the CX93010 chipset from Conexant. It’s a 4th generation controller based SmartModem. It integrates a microcontroller (MPU), digital signal processor (DSP), memory and a SmartDAA® (DAA) interface onto a single board. 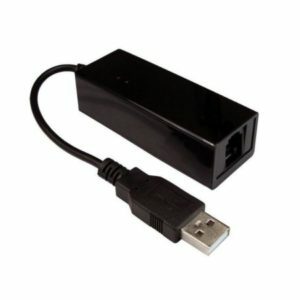 It simply plugs into the computers USB port. 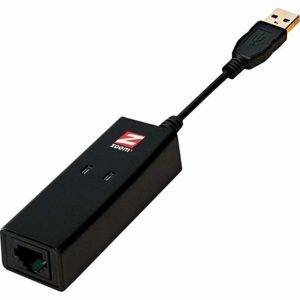 Modem drivers are provided for the latest Windows operating systems. Includes a one (1) year repair or replacement limited warranty and 180 days of technical support. Supports Caller ID in USA and Canada from your phone company. Notes: These Conexant modems will not playback audio with TAPI voice software that does not use “passthrough” mode. Please contact us for more details to see if your voice software is supported. 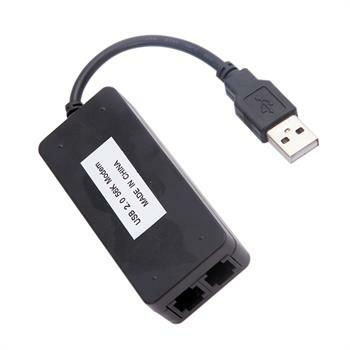 Modem is recommended for single (1 line) fax setup only connected directly to a USB 3.0, 2.0 (recommended) or 1.1 port of the PC (not a USB hub). Configures automatically using built in drivers for Windows 10/8.1/8/7/Vista 64 bit or 32 bit computers. 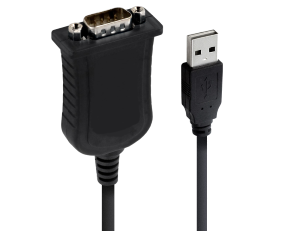 Includes additional unsigned Windows drivers for use with Windows 7 (64 bit), Windows Vista (64 bit), Windows XP (32 bit / 64 bit), and Windows 2000 (32 bit). Shipping additional for domestic or international shipping. 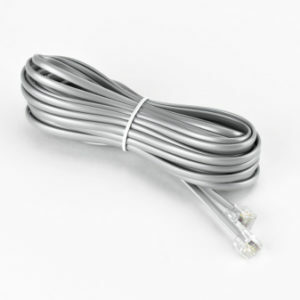 Note this item is drop shipped from our distributor and will arrive as a separate shipment from our software CD orders.